"At Russian Boarding House," photo-study by Lewis W. Hine, Homestead, PA, 1909. In 1909 the National Child Labor Committee sent Lewis Hine to Pittsburgh to take photographs for The Pittsburgh Survey, a pioneering sociological study of industrial life in Allegheny County. 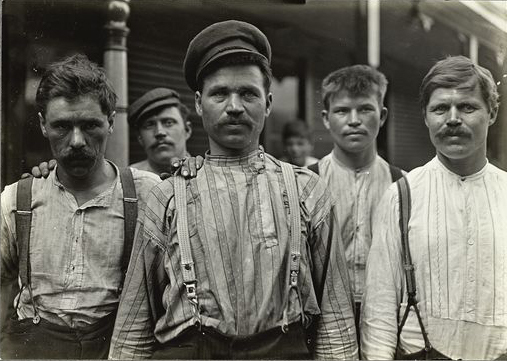 Hine's compelling images gave faces to Pittsburgh's immigrant workers and helped increase public awareness to their plight.